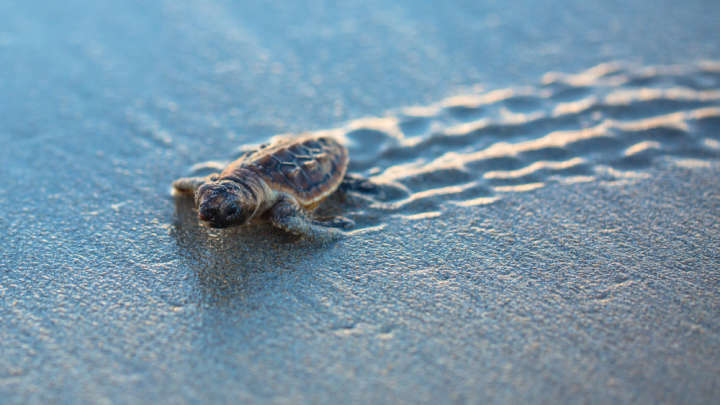 Scientists recently studied seven species of turtles across three different oceans and found that all individuals – every single one – had microplastics in their guts. Over 5 trillion pieces of plastic are lurking in the seven seas, all of which are the direct result of human-made pollution. Recent years have also brought the idea of “microplastics”, defined as plastic particles smaller than 5 millimeters, into the public eye. While their precise effects on biological life are still unclear, this new study adds to the mass of evidence that points towards an overwhelming problem. It’s fair to say that eating hundreds of microplastic particles won’t ever be considered a cornerstone of a nutritious diet for any biological being. Oh Dear this is not good. There are no responses to "Microplastics Found In 100 Percent Of Sea Turtles Tested". Comments are closed for this post.